Ever wish you could be a superhero? 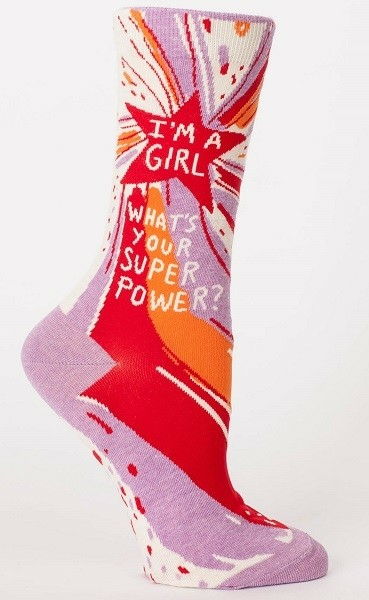 Well, these socks from Blue Q remind you that you are mighty just as you are! 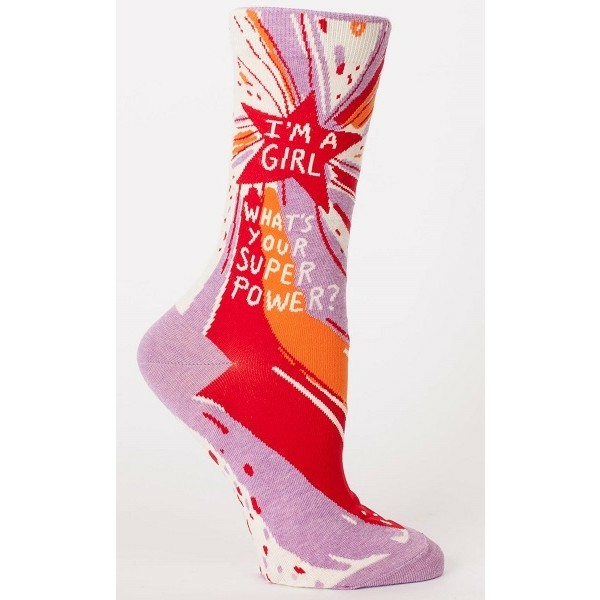 These 52% combed cotton, 46% nylon and 2% spandex socks feature a bold print and the text "I'm a girl. What's your super power?" These socks come in one size which fits most women's shoe sizes 5 - 10.